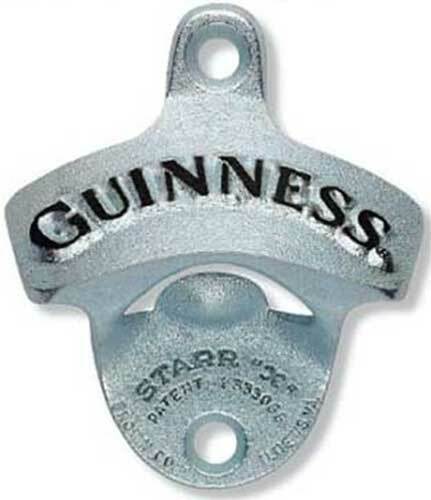 Make an immediate enhancement to your kitchen or pub with this Guinness bottle opener. The metal Irish bottle opener features GUINNESS in raised black painted letters and it measures 2 1/2" wide x 3" tall. The wall mounted Guinness bottle cap opener includes the hardware in the gift box.